One thing I'm a little sad about is that I never had a christmas baby, T was due on 19 December, but didn't arrive until Boxing Day which meant that we missed out on all the 'baby's' first Christmas stuff - we had a toddlers first christmas! 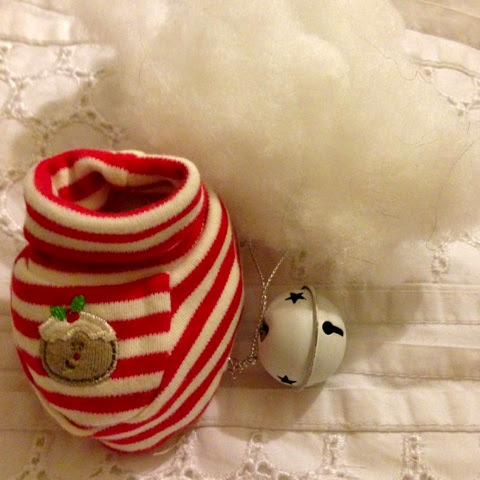 Anyway, we were given these booties for our new baby and he only really wore them once so I made them into a keepsake ornament. I added a little decoration bell inside too! 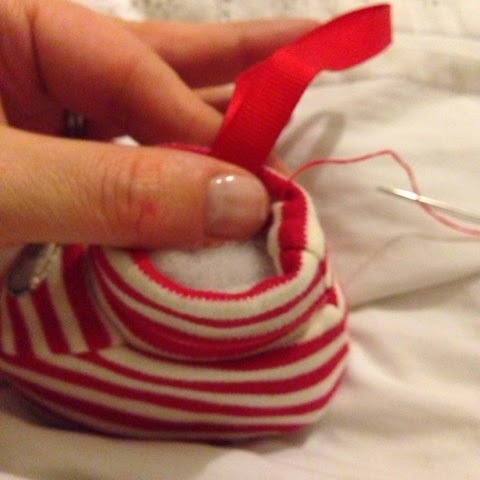 After stuffing and putting in the bell, I sewed in a ribbon hanger and stiched up. This will take pride of place on our tree once we put it up and I will include it every year. 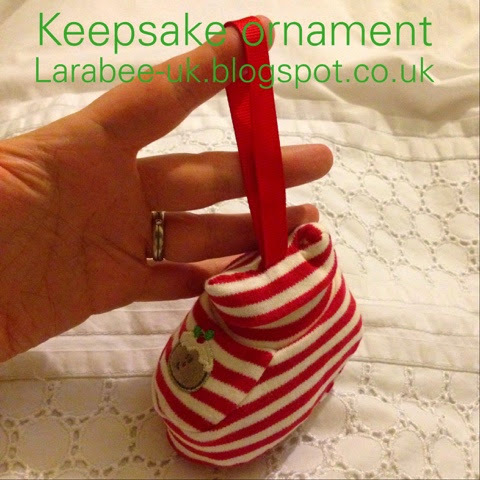 I hope this might have inspired you to create your own Christmas keepsake ornament. That's so cute! 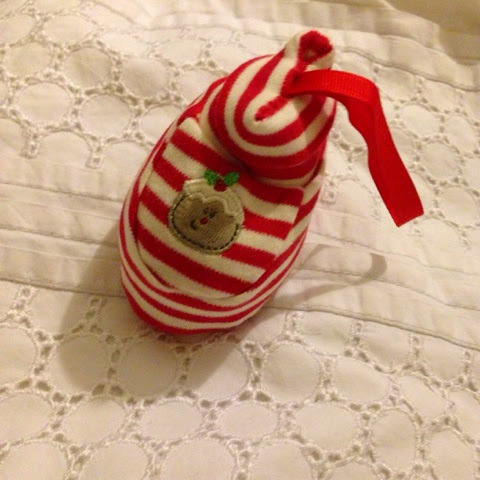 A shame about not having the baby's first Christmas, we had with O, but A is a January birthday, so he was quite big! I love this idea, will need to see if we have any Christmas booties.